Today, healthcare organizations are in the midst of a period of rapid and unprecedented change. With the number of mergers and acquisitions creating larger health systems, the increase in insurance complexity brought on by the implementation of the Affordable Care Act, and the disruption generated by new innovative technologies, there is a fresh need for new and different healthcare leadership talent and roles. A recent white paper survey by the Foundation of the American College of Healthcare Executives delves into the critical things healthcare leaders should know about recruiting healthcare executives. The white paper contains a number of valuable insights that healthcare leadership and organizations can leverage to ensure not only that they attract the best candidates, but also that that they hire executive talent that will stand the test of time. 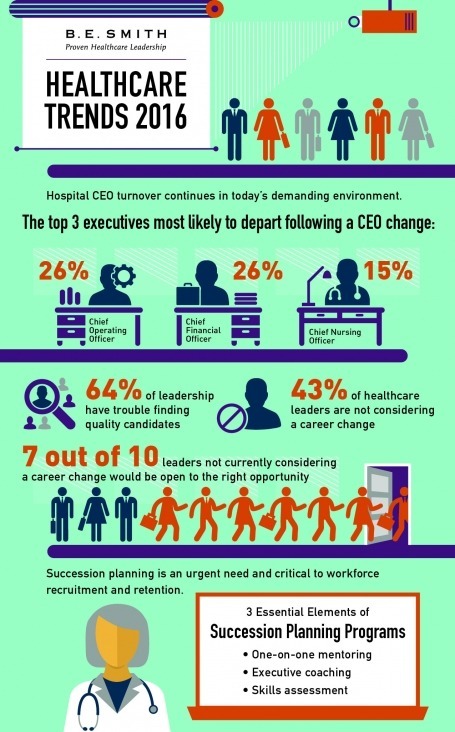 While nearly 75 percent of hospital and care system leaders express confidence that their current senior management team has the experience and skill sets to help the organization achieve its strategic priorities, experience in leading nontraditional health partnerships, population management, change management, advanced financial expertise and experience in data analytics were seen as the largest capability gaps. This presents both and opportunity and a challenge for healthcare organizations. While they all have the chance to grow their organizations and capitalize on the industry changes, success is only possible with right right executives to lead and navigate through uncertainty. The change we see in the market, makeup and goals of healthcare organizations is driving change in the approach to recruiting. More than half of respondents to the survey, which primarily targeted healthcare executive search firms, said that over the course of the last five years, their firm’s healthcare clients have changed the positions or roles they have included in senior leadership teams. Numerous firms responded that their clients are shifting focus to include more physician leadership roles and an emphasis on integrating physician leadership into the overall healthcare leadership team Additionally, they said they planned on adding “more population health roles, more positions related to clinical integration or medical group management, more roles focused on quality, more positions related to accountable care organizations, more clinical positions and more roles addressing value-based payment. Other organizations are looking to streamline, centralize or consolidate roles. When asked by the survey which factors and trends were influencing the way healthcare organizations construct their senior leadership teams, the most common response was an increased demand for physician leadership. However, while physician leaders are needed, they can be a challenge to find. In addition to a need for physician leadership, healthcare clients also reported an increased emphasis on population health, mergers, acquisitions and consolidation of organizations into healthcare systems. Other organizations expressed that the need for affiliations or partnerships between organizations, such as community partnerships, and the continuum of care. Over half of the survey’s respondents agreed that over the last five years, healthcare clients have changed their requirements when it comes to the skills, knowledge and credentials necessary to be considered for a senior leadership position. 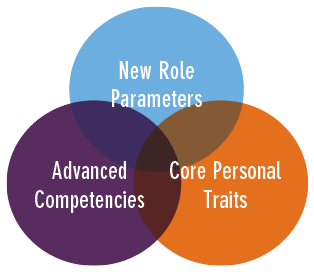 In terms or which competencies are most in demand, change management was the leader, followed by emotional intelligence, ability to influence rather than direct, strategic thinking, collaboration, innovative thinking and critical thinking. Also named were adaptability and decision-making ability. In the midst of this period of unprecedented change, there is a widespread pressure for healthcare organizations to do more with less. Given the rise in consumerism among patients, increased focus on population health management and the increased complexity of insurance brought on by the implementation of the ACA, many healthcare leaders are turning towards executive search firms like Healthcare Recruiters International to help them not only define new senior leadership roles, but also to help fill roles on their senior leadership teams. For over 30 years, we’ve been bringing the best healthcare talent in the world and leading organizations together. With over 20+ practice areas, we act as a consultative business partner to help our clients fill a wide variety of roles in Allied Health, Hospitals, Medical Research and Executive Search. If you’re looking for a new hire, get in touch with us today to learn more. The landscape of healthcare leadership is shifting to include new and exciting roles brought by the need to effectively manage change. Additional physician leadership is needed, along with those who specialize in population health, mergers, acquisitions and consolidation of organizations into healthcare systems. Innovative thinking is the most sought after and difficult quality to find in a healthcare leadership candidate. 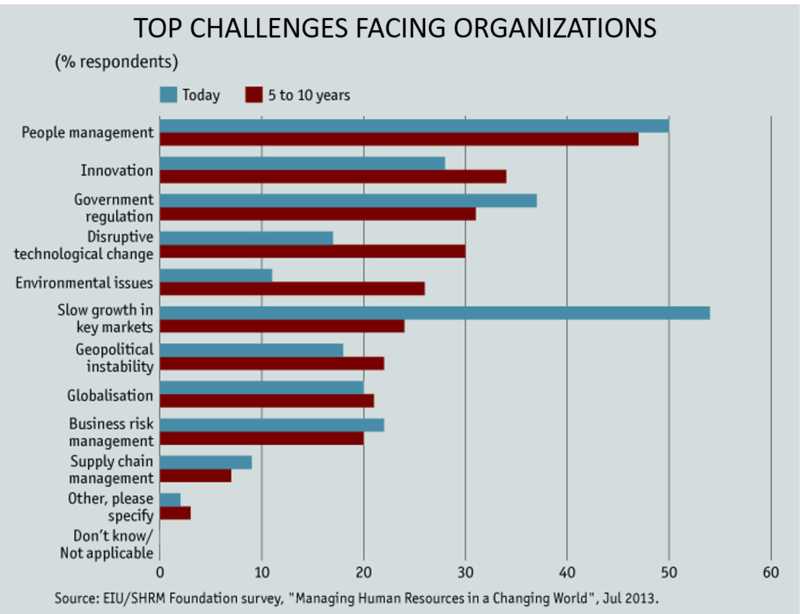 Change management is the leading complacency driving shifting leadership priorities.